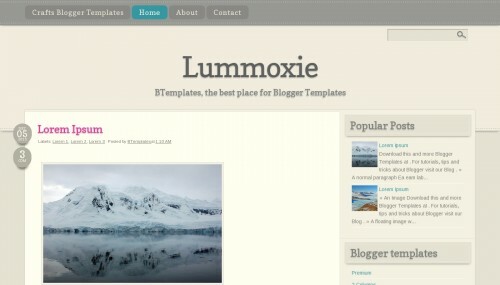 Lummoxie is a free blogger template with 2 columns, responsive design, right sidebar, exclusive design for Blogger and well designed threaded comments. Excellent template for blogs about crafts, to write a diary or education. Lummoxie is a free blogger template with 2 columns, responsive design, right sidebar, exclusive design for Blogger and well designed threaded comments. Excellent template for blogs about crafts, to write a diary or education.